UNE and the School of Arts will host a talk by director of the Institute for Policy Analysis of Conflict (IPAC), Sidney Jones. Sidney will be touching on the highly debated and red-hot topic of IS/ISIS/ISIL/DAESH. In particular, Sidney will talk about “Support Networks for ISIS in Indonesia”, reflecting on the hundreds of Indonesians and Malaysians who have left to join ISIS in Syria expressing support for the new caliphate. Australia faces similar issues with foreign fighters as its own citizens leave for Syria. Sidney will be discussing the nature of the threat to the region and look at why and how ISIS attracts support, the factors that are pulling men and women to Syria, and how both the Indonesian government and different parts of society are reacting to the threat. Sidney Jones is a world authority on extremism and conflict in Southeast Asia. 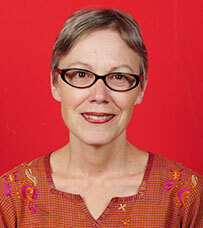 She is the Director of the Institute for Policy Analysis of Conflict (IPAC) based in Jakarta. Previously, she was the Southeast Asia Project Director for the Brussels-based International Crisis Group (ICG), a non-profit research and advocacy organisation, when major bombings happened in Indonesia e.g. the first and second Bali Bombings where 88 Australians were killed and many were injured, the Australian Embassy Bombing and the Ritz Carlton bombing in Jakarta. When many in the West were in the dark about them, the ICG under the direction of Sidney Jones came up with its ICG Reports periodically providing detailed information and in-depth analyses about the events, appreciated not only by many academics and government officials but also the public at large. Her talk on Monday night (6:00pm, 27 July) is important considering the close proximity between Australia and Indonesia, the many Australians visiting Indonesia especially Bali, Jakarta and Yogyakarta. Her presence in Armidale will give a great opportunity hear directly from an expert who has lived in Indonesia for many years. More information regarding the event here.